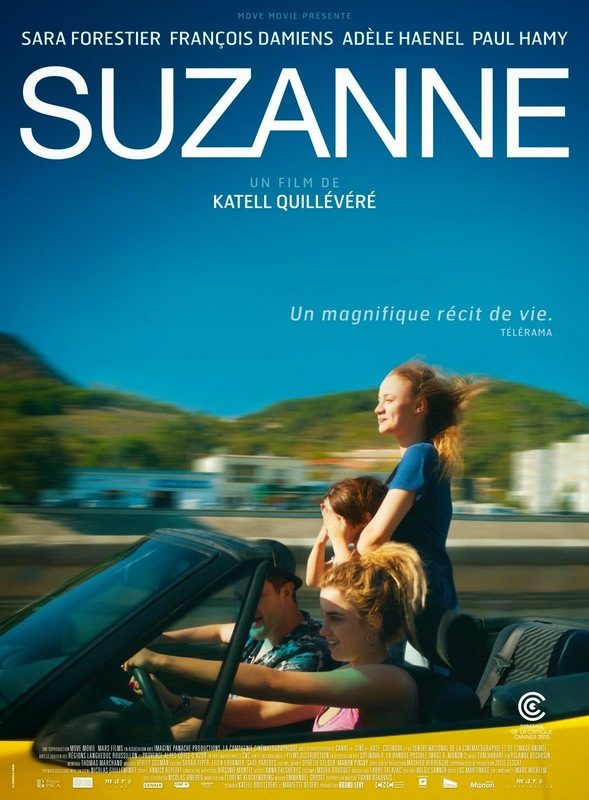 Suzanne is the second feature film by young filmmaker Katell Quillévéré and is a confirmation that this director has a very promising career ahead of her. Suzanne opens as a story of two sisters, Suzanne (Sara Forestier), and Maria (Adèle Haenel), who are raised by their widowed father Nicolas (François Damiens). Suzanne and Maria are true soulmates. Their playful camaraderie as young girls spills into their adult relationship. As young girls, they loved to take rides in their hard-working father’s truck and constantly joke around. However, the joking ceases over time as we jump ahead to Suzanne as a teenager, when she finds herself pregnant and at arms with her father. The film soon turns dark as family relations tense up, and the now slightly older Suzanne becomes involved and obsessed with a charming, attractive, and deceivingly dangerous young man named Julien, played delicately by the emerging Paul Hamy. Suzanne will slowly impose a distance from her family and immerse herself in Julien’s world. Soon enough she altogether neglects to raise her son and leaves him at home with Nicolas, who begins to raise him. Suzanne, leading a new, crime-filled adventure with Julien, finds herself abandoned by her lover as she is caught in a robbery, where he escapes scot-free. She is now incarcerated and, worst of all, loses custody of her lovely boy, Charlie. Maria never stops emotionally supporting her sister, and is an important backbone in keeping Suzanne’s sanity and hope up while locked up. After jail time, Suzanne seems to begin to regroup, find a job, and patch up her relationship with her father, but a chance (or not) encounter with Julien on a bus brings her right back into his destructive universe. The rest of the film will present extreme moments of hardship and tragedy for Suzanne, as she once again leaves her family in the dark. She then returns home for a rare visit and discovers that Maria has died in a car accident. Her life does not get any better as she continues to live as a bandit with Julien, smuggling loads of hash from Morocco to France. One of the few bright moments of this stage in her life is the birth of her daughter Solange. The film closes with a crossroads for Suzanne. She will have to make a dramatic decision to either support Julien in a criminal act, or abandon him as he had done to her in the past. I was truly impressed by Suzanne and was so moved that my entire afternoon was affected by the emotional aftermath of this biopic. It is not often that I feel so touched by a film in its entirety. Only a handful of movies have moved me so, such as Little Odessa and Eternal Sunshine of the Spotless Mind, just to show you the caliber of the film we are dealing with here. The subtlety in directing and the courageous acting, by all the cast members, is to be noted. Sara Forestier gives a standout performance, her embodiment of Suzanne is chilling. She is Suzanne incarnate. The symbiotic, harmonious, and hard-working relationship that the cast and crew had with Quillévéré poured through the screen. My interview with Katell was so pleasant. She is a director that is honest and inclusive of her cast and crew, and it is quite evident that her generosity and talent go beyond the efforts of most other young filmmakers. What I love about the French is their ability to articulate their feelings in regards to films and art, how in depth they are able to psychologically reveal about their work and that of others. Yet Katell’s art does not suffer from intellectualism at all. It is mapped out, yet wrapped with instinctual decision-making, raw truthful emotions, and pure guts. Her art is full of life, in beauty and in destruction. I was honored to speak with Katell, and I hope you enjoy the interview as much as I did. Look out for her future work, as it will continue to impress and, most of all, move us. Agnolucci: You were smart in setting up the first fifteen minutes of your film as a sort of introduction to all three family members and their loving relationship, where we witness plenty of humor and emotional life. Why did you choose this method as opposed to strictly focusing on Suzanne? Quillévéré: I imagined the beginning of my film to be like a matrix. What is particular is that not much occurred in terms of dramatic play in the first fifteen minutes of the film. There is also no principal protagonist either. Therefore, we are in a sort of memory of these three characters’ lives. I felt it was essential to pass through this route, as it was a way to feel empathy towards them, to construct a familial memory-base, a collective memory. This would allow the audience to put together the links that united the characters and showed their distinct personalities. This is because my film addresses the notion of destiny, and, in order to do so, one must pass through these characters’ childhood, or at least Suzanne’s childhood. I find that essential. This choice also reflects the biopic structure, as we wanted to construct a biopic of an unknown person. Childhood is a decisive moment; yet, we didn’t want to treat this moment with determinism. In other words, often in classic biopics, especially Hollywood ones, childhood is the moment of trauma, where wounds are founded. This tends to explain the future of the characters’ actions, a link of causality between one’s childhood and their coming of age. My opinion was the opposite, to show that things are more complicated than that in respect to the complexities of life and the factors of chance and mystery. What is fascinating in each person’s life-course is that it is a mélange of indomitable chance and necessity. Agnolucci: You made a clear choice to use ellipses in your film that represent the passage of time, as the story took place over twenty-five years. How did you choose what scenes to omit from the final film and which ones to include? Quillévéré: This was all part of the passionate work held during the writing process: what story we are going to tell, and what are we going to include in the shots. At points what can be seen as an objectively important event of a character’s life is not shown in the film. The ellipses were a necessity to be able to tell twenty-five years of a story in an hour and a half. We decided, with Mariette Désert my co-writer, to make a force and a signature of it, to include a modernity to the narration. We pushed this ellipses system very far, also to keep the spectator very active and to trust them. Information is only revealed once in the film and never repeated, so the holes must be filled by the spectator’s imagination, through their deductive and empathetic capabilities. It was a manner to invest the audience and call to their intelligence. In terms of choices we didn’t want them to be classic or stretched. This also guided us. For example, we decided to omit the moments when the lovers were on the run from the law, because it was already explored in the cinema of the past, especially in American cinema. This cinema is important for me, the new Hollywood cinema, which often dealt with “banditism.” I didn’t feel like renewing this subject with these two criminal lovers. I felt like there was something to say in regards to those who stay and submit these absences, these ruptures, these chaotic journeys. That is how the secondary characters, such as the father, the sister, and the son, really have a very important part in the film. Other choices, such as not showing Suzanne’s first months with her baby—spontaneously we could say that there is something interesting in showing an adolescent becoming a mother. As spectacular as this can be, it was also already seen in cinema, and I wanted to really trust the audience’s life experience to understand such a time. Either we have had children ourselves or have been able to observe it closely in our lives. We know what an enormous reversal the arrival of a child can be, and above all she is a young seventeen–year-old girl. It seemed to me to be much stronger, and even more violent, to utilize the ellipses, and in one cut rediscover this girl, who is now a mother with a child that is already four years old [no hyphens] and big, already taking space up on her body and her knees. In one cut, all the brutality of this change is expressed. All in one scene and one cut. In a general manner, this was the initiative: to be in the essence of things, to concentrate the sense as opposed to dilating it. There was a lot to say in little time. Also, when Suzanne exits prison the actor playing her son has changed as he is now twelve years old. I knew that by not showing her son while she was in prison, by not seeing him adapt to his new family and seeing him grow, would have made their reunion even more violent and poignant. So we as the audience would have remained on Suzanne’s side, seeing things the way she saw them, which was not seeing her son Charlie grow up and change during this time. We are with her. These are vital focalization points in an elliptical narration. On which side of the story are we placed? With whom do we remain to feel these experiences? As opposed to smashing the focalization points, we decided to choose when we are with her, and when we leave her and focus on those that made her suffer. That was an important alternation in the construction of the ellipses. Agnolucci: You have spoken of a Ping-Pong-like writing process with Mariette Désert while developing and writing Suzanne. You wrote scenes individually, and then assembled them to form the entire script, if I am not mistaken. Please specify how you both worked together structurally. How long did writing the script take? Quillévéré: The writing of the film took two years more or less, including the financing period. 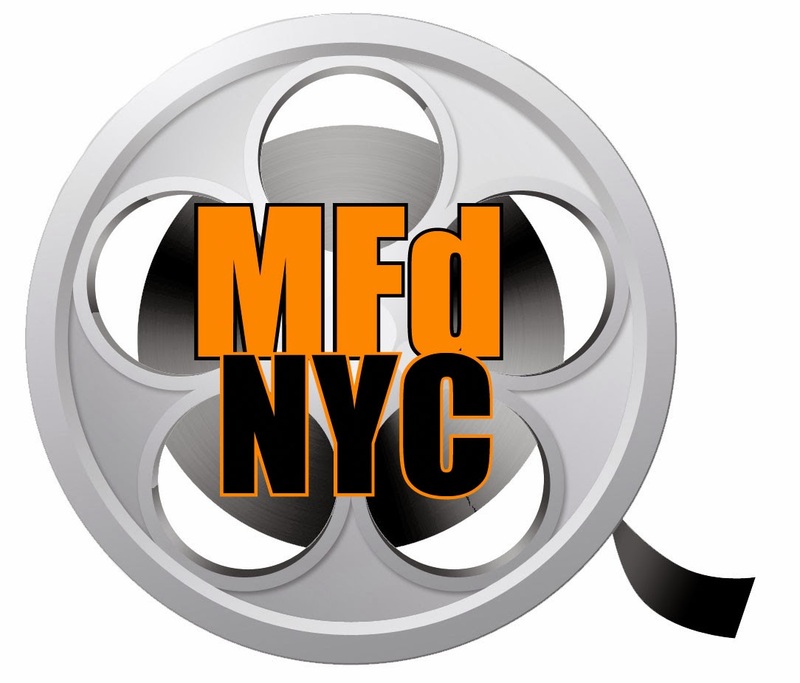 When we start to finance a film we are always rewriting the script, because we must keep the financiers in mind, the positive and negative feedback given, and the film’s budget that is less than what we had hoped for, so we had to make cuts to the script here and there. With Mariette it’s a natural process. I had brought her the original idea of the character of Suzanne; I had some ideas about what her life experiences would be. I knew she would be in prison, that she would have a child at a young age, and have another baby later on in the film as well. There were these narrative stages and stops that would be posed at the beginning of the writing and after we just started sending each other scene after scene. I would write one, then she would, then I would. We would throw scenes out, keep some, and it went back and forth like this for a while. I can’t tell you which scenes I wrote or she wrote; there’s no difference really, apart from the scenes that we didn’t agree on, and I fought for from the beginning. There was a fusion that operated between us. I need to immerse myself completely in the material to create and to invent, and I need to lose myself as well. I write, but I don’t know where I’m going next with the story. When I begin to find myself inside the scenes—that’s when I find the following scene. The structure finds itself at the same time that the sequences do. It’s something that goes hand in hand, even if we have some repairs to do along the way. The end of the film was found very late in the process. It was changed many times, and therefore, witnessed a maturation of the tale of the characters that is long and very progressive. Agnolucci: You are very patient as a director and let the scenes play out truthfully, allowing the tension within silences to build at the right moments. Do you feel that this is partly due to your documentary-type style of filming Suzanne, where the camera adapts to the actor’s behavior and movement, and not the other way around? Quillévéré: Yes and no, actually. For this film there wasn’t what we call a mise en place. When we arrive on set, we can either ask the actors to play the scene out, and based on their action, we can storyboard it and place the camera accordingly, or we can plan the visuals ahead of time. I storyboarded the film before the actors came on set, and therefore, in this case, it was the actors that adapted to the camera placement and the storyboard structure. But at the same time, there was a very realistic and naturalistic approach to the direction. Meaning that within these constraints, the actors still had the possibility to tell me if it didn’t work for them, to move in a different fashion or direction, and to rework the text. In general, there was a compromise between what the actors proposed and brought to the scenes and what was already decided. However, I worked quite quickly due to time as well, because it was a film with more than sixty settings, and we changed locations almost every day. Therefore, I could not permit myself to conjure up the storyboards on set; it was practically impossible. The light placement was also planned. Quillévéré: Yes [laughing]. At the same time this permitted the mise en scene to be precise and to keep its original ideas. As it is a saga, and there are multiple décors that we return to at different times and eras, the storyboards were constructed in function of this. We come back to the same locations in the film, maybe ten years later, and find small differences in the décor within a similar background. This was done to provoke echoes and reminiscence within the spectator of the previous times. I believe that by not changing the storyboards too much within the mise en scene allowed the film to gain a certain force. It’s not something that could have come from improvisation. I think that it’s important to have, a few months ahead of time, strong aesthetic choices that will give the film its identity. There was a strong aesthetic influence on the film that was important for me, being American photography of the sixties and seventies of the colorist movement, including William Eggleston, Stephen Shore, and Philip-Lorca diCorcia. These photographers influenced me, because they had a highly sophisticated approach to the real. The way they composed their shots and their relation to color manifested the real. I found myself in this approach. Let reality come to you, which is a documentary-type technique, but at the same time transcend it and show what is fascinating and Romanesque in the banality of the quotidian. I find that this modus operandi works very well in cinema. Agnolucci: Watching your film was a cathartic and intense experience, and I was not able to look anyone in the eyes for hours following the screening, mirroring my reaction post James Gray’s Little Odessa. What did you feel after you saw your film completed in its final version? Quillévéré: Ah, that’s my cult film. I adore it. In effect we never see a film in its final version, because we can’t distance ourselves in that way. Maybe in two years if I re- watch it I can understand it, if I can pull back from it. But the final version is simply the seventy-second version. There were so many changes that I could never approach myself to your sentiments in regards to my film. It’s impossible [laughing]. I happily take what people give me in regards to their feelings towards my film. I know what is crucial for me, in cinema, is emotion and our relation to emotions. I know that I go to the cinema to feel certain strong emotions and to feel more alive than in my daily life and to extract something from myself. The notion of catharsis is very important to me. I want to transmit this discharge of emotions onto others, positive and negative, without judgment. I am proud if I feel that this passed onto the spectator and therefore the film fulfilled its duty. The film should extract emotions that we do not experience on a daily basis and to put these emotions at a distance. To keep these emotions at a distance, and to distance the world in a certain way, is to better confront it. I want to make films for this. That is also why I love melodramas, why I adore James Gray, why I adore Douglas Sirk, and James L. Brooks. I lean towards this genre of cinema. Agnolucci: Please list five films that have changed your view on life and/or the filmmaking craft? Quillevere: One of the first films I should mention is L’enfance nue by Maurice Pialat. It was his first feature, and a film I studied deeply when in college. It was fundamental for me, because it dealt with childhood and themes of separation, rupture, and the fear of abandonment—plenty of ideas that speak to me profoundly. Pialat is a filmmaker that opened me up at seventeen years of age; he told me that it is possible to make films. Terms of Endearmentby James L. Brooks is a sublime film. It is the sum of what I would love to be able to do in terms of the family melodrama. On a wackier day I adore That’s Life by Blake Edwards. Then there’s Michael Cimino’s The Deer Hunterand Heaven’s Gate. And the last one would be the Fassbinder Bundesrepublik Deutschland Trilogy.